Phos to alethinon: Why on earth Dominican Republic? In Caribbean Sea the horrendous and thus fascinating times of the buccaneers are over although their memory is still in vivid memory all over the world. Today, Caribbean islanders have their own independent states and people are living in peace and prosperity in regions where once chaos ruled amidst bitter wars, revolutions and murders. There are, for example, the republics of Cuba, Haiti, Jamaica, Commonwealth of Bahamas and Puerto Rico each with their flags, capitals, constitutions and independence days. But why on earth is one of the Caribbean states called Dominican Republic? The Dominicans or Black Friars as they are called in England, are, after all, an organised group of monks, nuns and lay people. Following this idea, we might as well expect to find somewhere in former Spanish or Portuguese areas the Augustinian Kingdom, The Republic of White Friars, and perhaps even the State of the Sisters of Zion? The religious order of "Lords Hounds" (pun from Domini canes) was established by Domingo Félix de Guzmán (1170 – 1221) and approved by Pope Honorius III (1216–27) on 22 December 1216 in France. 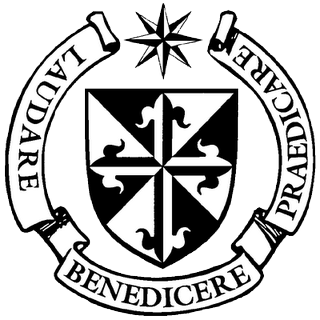 They praise the Lord (laudares), they bless (benedicere) and they preach (praedicare), Order Praedicarum O.P. They also have quite a history from early medieval times to modern days. We still remember trembling the not so holy offices of the Spanish and Portuguese Inquisition, Tribunal del Santo Oficio de la Inquisición and the name Torquemada. Especially here in Israel. But that is only one side of the coin, although admittedly a very dark side. 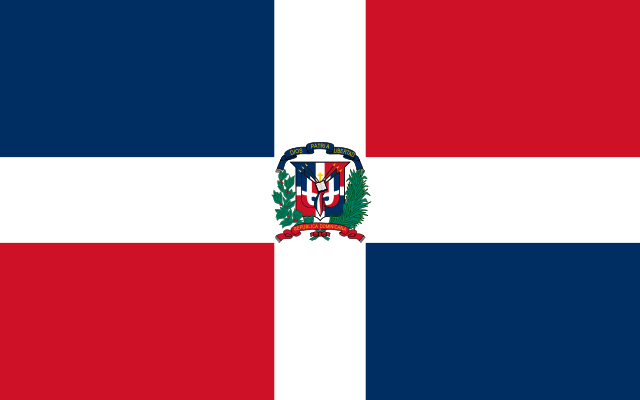 So how come the Dominicans also have a state, República Dominicana, in the West Indies called after them? It has something to do with the Spaniards and that Christopher Columbus who arrived to the Bahamas - possibly to the island of San Salvador - in 1492. In fact, the island on their Great Antilles chain is called La Hispaniola. Today the island is divided between two states, the smaller one is called Haiti occupying one third of the land and the bigger state Dominican Republic. The recorded history of Haiti began on December 5, 1492 when the European navigator Christopher Columbus happened upon a large island in the region of the western Atlantic Ocean that later came to be known as the Caribbean. It was inhabited by the Taíno, an Arawakan people, who variously called their island Ayiti, Bohio, or Kiskeya. Columbus promptly claimed the island for the Spanish Crown, naming it La Isla Española ("the Spanish Island"), later Latinized to Hispaniola. Haiti - Ayiti ... ancient name given to the island by the Taino people. Successive waves of Arawak migrants, moving northward from the Orinoco delta in South America, settled the islands of the Caribbean. Around AD 600, the Taíno Indians, an Arawak culture, arrived on the island, displacing the previous inhabitants. They were organized into cacicazgos (chiefdoms), each led by a cacique (chief). The final Arawak migrants, the Caribs, began moving up the Lesser Antilles in the 12th century, and were raiding Taíno villages on the island's eastern coast by the time the Spanish arrived in 1492. How to make money in the New World found by Christopher and his men? Sugar cane was introduced from Canary Islands in 1518 and it was quite profitable. His son, Don Diego Columbus - 2nd Admiral of the Indies, 2nd Viceroy of the Indies and 3rd Governor of the Indies - was making good money from sugar cane. In order to cultivate it efficiently in the hot climate the Spaniards shipped African slaves from Spain to the new plantations. Diego Columbus crushed their first revolt already in 1522 - just four years later. Apparently, the working conditions and benefits were not satisfactory to the slaves. Many escaped to the mountains and were not very nice - the Spanish Christians called them "wild animals" - cimarrónes - and fortified the city of Santo Domingo in 1541. 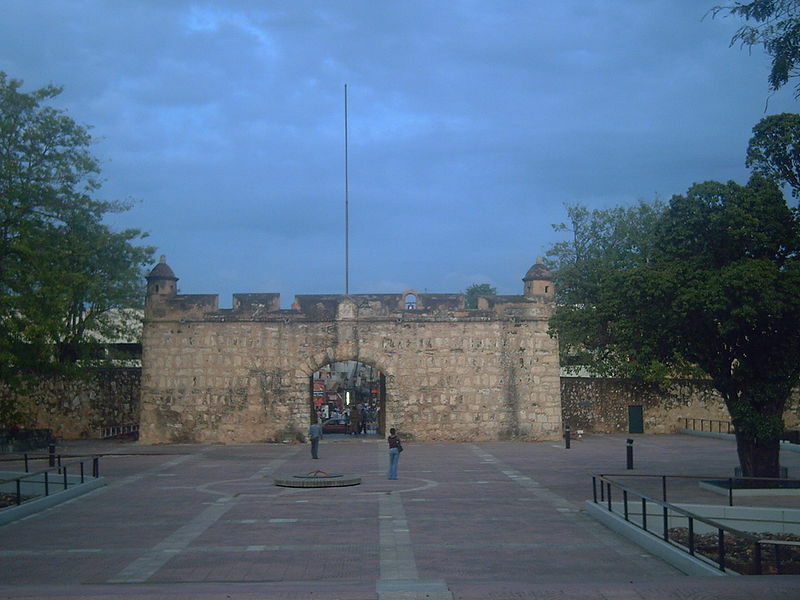 The monks chose the rare religious name for a state from their patron saint, the same who gives the name to the city San Domingo, Santo Domingo, the capital of the Republic. Today it has over 3.2 million inhabitants - about a third of the country's ten million people living there. Today about 70% of the citizens in the republic are Roman Catholic and 18% Evangelicals. Well, now we know why on earth this country in the Caribbean is called Dominican Republic. Even if the Dominicans never ruled the country, this respectable religious order has one more notable thing in its history - the influence of Trinitarian Christians on the birth of the independent state. Dominican Republic has occasionally a very sad and turbulent history. The people are living there in one of the most beautiful places one can imagine, verily a paradise on earth. Where is the beef? Why Dominican Republic is doing okay while Haiti is among the poorest countries in the world? If only the common people living in Haiti would abandon that voodoo religion of theirs and adopt Christ, despite of the poor record of European Christians in Caribbean, things would change to better, much better - Si Dios quiere!